(Hypebot) – 2014 was the year streaming broke through to mainstream consciousness, not because of the marketing prowess of Spotify but because Taylor Swift decided to withdraw her content from the Swedish streaming heavyweight and other freemium services. 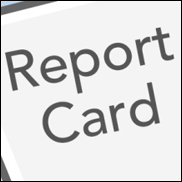 It was a mixed year of momentous achievement and intensifying controversy, which makes it an opportune moment for an end of term report card. Overall Streaming gets a 6/10 for a year that saw huge progress but also the persistence of perennial problems that must be fixed for the sector to succeed. — By consultant Mark Mulligan from his Music Industry blog.